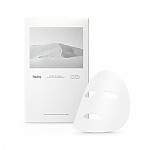 Radiant your Skin Care with the [Huxley] MASK; Moisture and freshness! we aim to provide you best korean products to take good care of your skin, including Cosmetics, Skincare, Mask Sheet. Hydra Mask Sheet online. 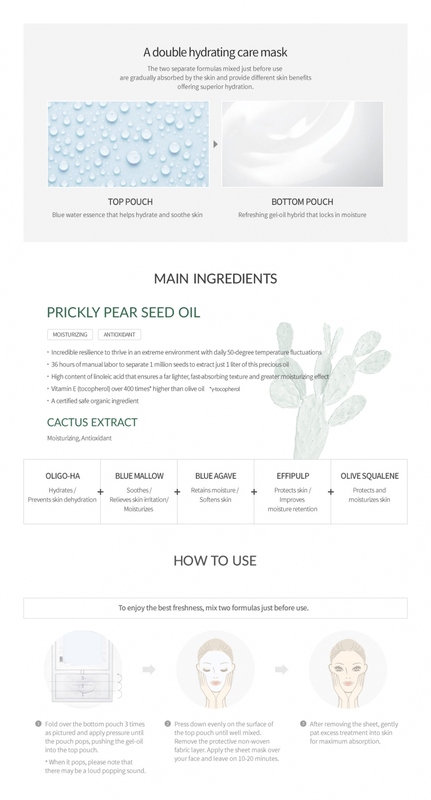 Made of Prickly Pear Seed Oil and Cactus Extract, these two main ingredients help nourish and moisturize your skin. They are also anti-oxidants to help maintain your skin's heath. Cleanse and tone your skin. Fold the bottom pouch 3 times and apply pressure until pouch pops, pushing product into the top pouch. Take out mask from its package and place it on your skin. Wait for 20 to 30 mins and remove the mask. Pat the remaining essence into skin to absorb.